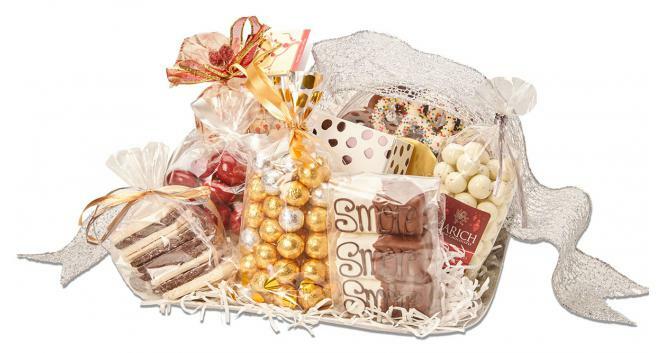 The best selection of sweet treats for Halloween. 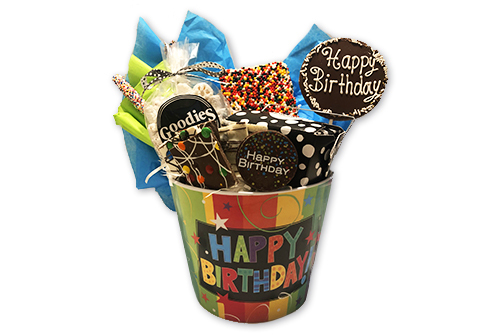 Enjoy a variety of chocolate covered goodies and Halloween themed gummy treats. 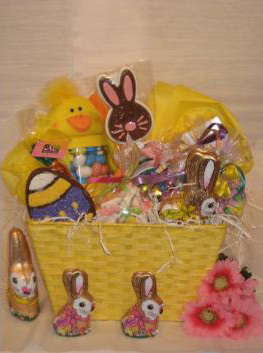 A fantastic Hallowen surprise! 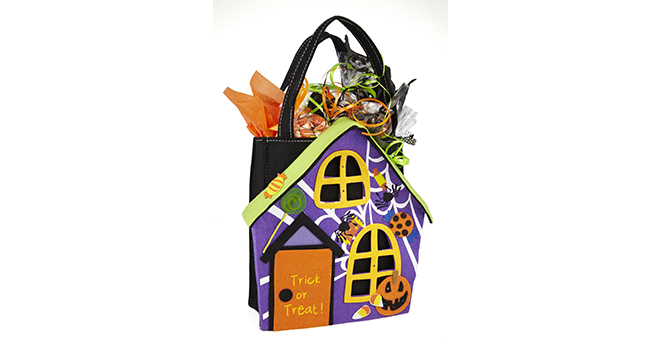 The perfect bag for trick or treating fun. 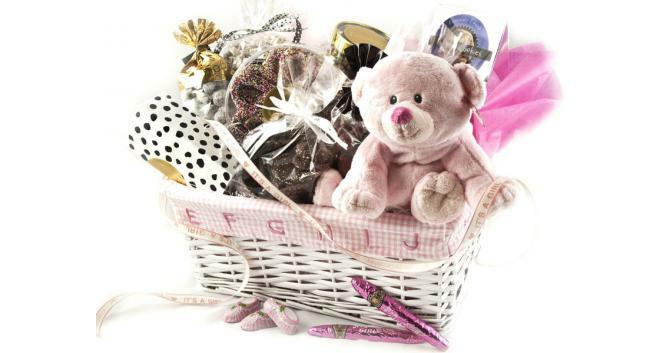 Celebrate the arrival of a new baby girl with our beautiful baby girl gift basket. 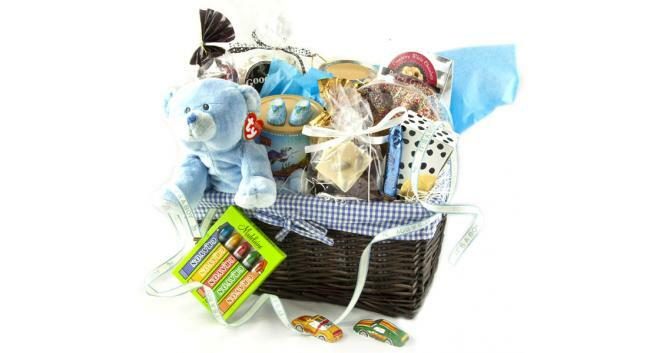 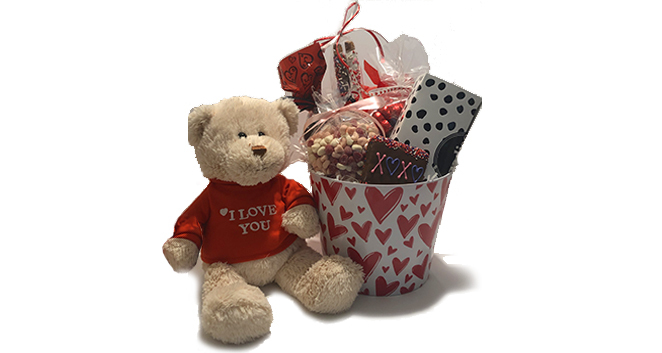 Included in each basket is a stuffed animal, surrounded by English toffee, cookies, pretzels, chocolate cigars, chocolate baby booties and a delicious assortment of yummy chocolates and candies. 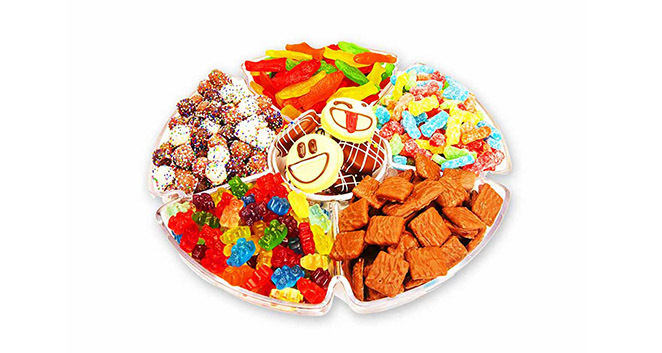 Enjoy this acrylic tray brimming with a delicious and fun selection of gummies, candy and chocolates. 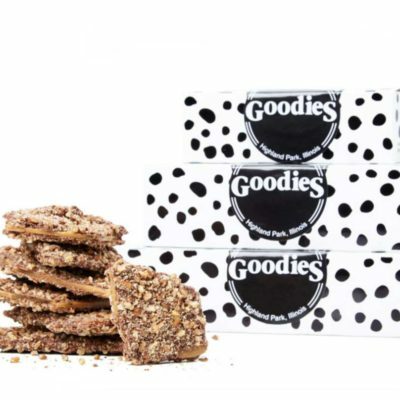 Makes a perfect hostess gift and fabulous presentation at any party. 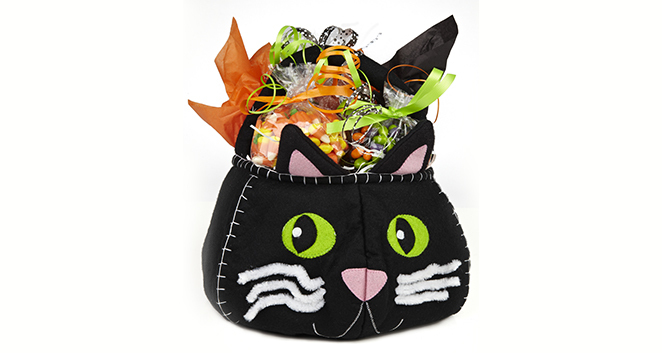 Halloween is even happier with this treat bag from Goodies. 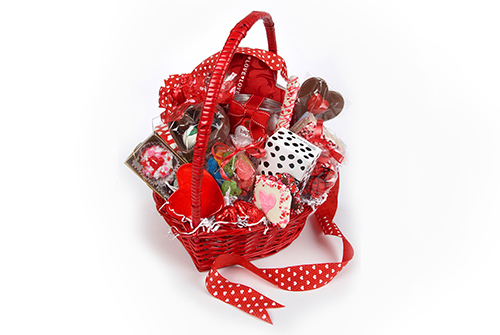 Enjoy an assortment of special Halloween chocolates and candies.